Municipal elections are tomorrow and this could be Toronto's new mayor. This is Doug Ford, the brother of the (in)famous Rob Ford. Here they are together. 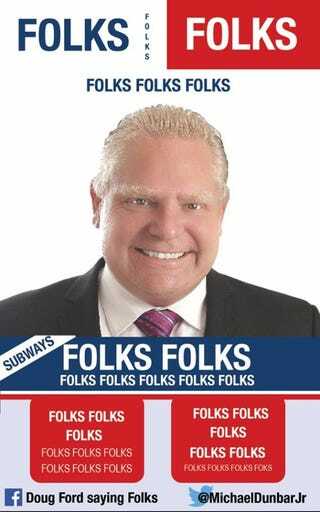 Doug is widely believed to be the puppet master controlling (or not, depending on how much, uh, "sleep" Rob had the night before) Rob Ford's mayoralty of Toronto. ETA: I'm ready to hunt down kinja and shoot it, because I cannot format this post properly!